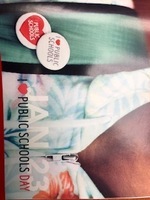 On January 23, join Nebraska Loves Public Schools for the fourth annual I Love Public Schools Day, a day devoted to celebrating our teachers, students, and public school communities. More than three million people participate in support for public education in Nebraska. Mark your calendars and join Nebraska in celebrating our Public Schools! A Kindergarten WIN group researched, Christmas in Australia. Watch this! After reviewing the characteristics of a fairy tale, a few 4th graders penned out a fractured fairy tale of their own. Listen to this author read his tale. Looking for a good book in the North Park Library? Click here to listen to what this one is about! The North Park PTO will be hosting a family night on Dec. 13, 2018, beginning at 6:00pm-7:30 pm. The event will be held in the North Park gym. We will have Christmas ornaments and other crafty things to decorate for Christmas. Students may also write letters to Santa. Santa may even be there to join in the fun! Students at Columbus Public Schools are being taught ways to stay safe while online. Those lessons start in Kindergarten and go through high school. Here are some 1st graders learning can use their whole body to help them keep safe while online! Kindergarten listened to the story, Growing Vegetable Soup by Lois Ehlert. Each student brought an ingredient from the recipe that was in the book and today we made our own healthy snack ~ yummy vegetable soup! Watch this! A Kindergarten WIN group came to the library and researched jobs. They learned about what people with that job do and what tools they need. They also had a discussion about wants vs. needs and what a good and a service is. Watch this! For you Facebook users, check out North Park PTO on Facebook and see what activities the PTO have been doing for the families at North Park!